UDINUS just held cinematography training for some dance studios in Semarang. The theme of the training is ‘The Creativity of Vlog Production for Dance Studios in Semarang’. 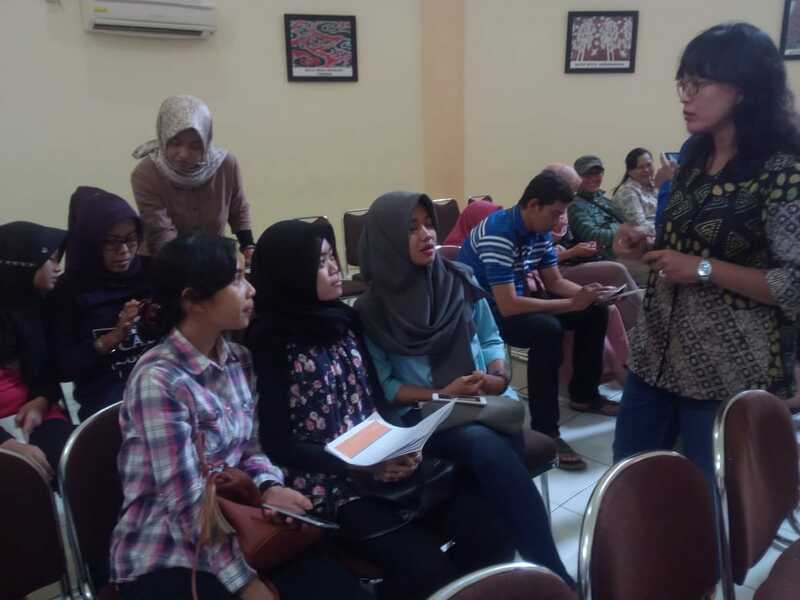 About 50 participants from 3 different dance studios in Semarang namely Lindu Panon Art Studio Semarang, Antika Budaya Studio, and Kareista Balamuseum Studio joined the training which was held at Ronggowarsito Museum. UDINUS’ dance community and UDINUS’ E-Gamelanku community was also joined the training. Ristia Kadiasti M.Sn, a Lecturer from Animation Study Program of Universitas Dian Nuswantoro (UDINUS) Semarang reminded the participants the importance of storyboard in making video blog (Vlog). She said storyboard would facilitate the delivery of messages to viewers. Storyboard is known as a draft or a plan of filmmaking. The draft consists of placement of characters accompanied by camera motion directions. Technically, storyboard is frame by frame image adapted from scenarios created by scriptwriters. Ristia said Storyboard was a blueprint of a movie design planning. According to her, without the storyboard in the beginning of the process of movie or vlog production, the message couldn’t be delivered to the viewers and it would make the movie monotone. Ristia added Storyboard did not have an absolute rule, each studio and individual had its own style in making storyboard. But every storyboard should have a clear camera motion description and also the right placement of characters. "The more detail the information in the storyboard the easier the process of making vlog. Styles in making storyboard are different, there is a clear explanation of time, and there is also just put the characters and the movements of the camera only, "she said. Meanwhile, Deddy Award Widya Laksana M.Pd, a Lecturer from Animation Study Program of UDINUS as well as one of the trainer at the training said in addition to storyboard, the material that must be learnt in making vlog is video editing. He said it would be very useful to make an interesting and a good video. According to him matching the flow of the review and the story board is very important in the process of editing movie or vlog.